Here at AGM Services we pride ourselves on offering a fast, professional and reliable service for a wide range of paint finishing equipment including spray booths, dust extraction systems and paint mixing rooms for all manufacturers. We understand that equipment breakdowns can be inconvenient and very costly due to production being brought to a standstill. A service contract with AGM Services will reduce the risk of equipment downtime and lost revenue. 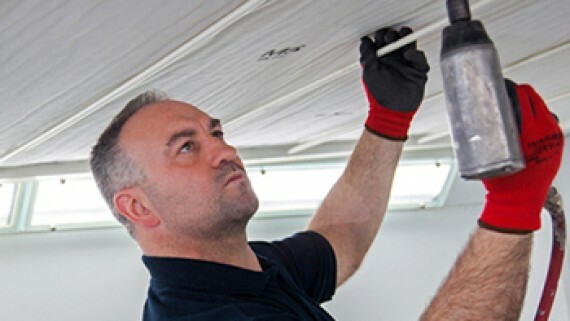 We offer various maintenance and service packages which range from one-off services right through to fully comprehensive contracts tailored to suit your requirements. With an AGM Service contract you’ll see benefits such as consistent performance of your equipment, improved reliability and also support your compliance with statutory obligations under EPA and COSHH legislation. With service centres in South West, South East, Portsmouth, Hampshire, Kent, London, the Midlands, Cheshire, Lancashire, Greater Manchester, Yorkshire, Cumbria and Scotland we have nationwide coverage meaning wherever you may be and whatever the problem, our team of fully qualified engineers are able to respond quickly, efficiently and economically. 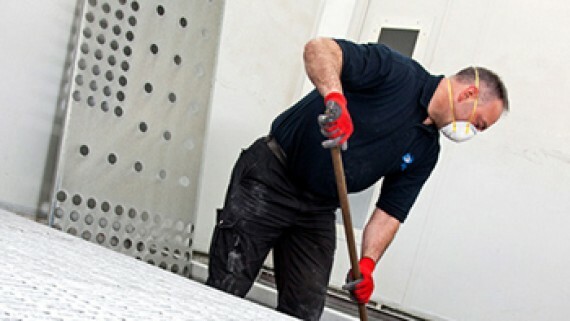 All AGM Service engineers are Gas Safe registered, PASMA and IPAF certified and have vast experience in all aspects of paint finishing service and maintenance. Service engineers’ vehicles are comprehensively stocked with spray booth spare parts allowing them to complete the job the same day in most instances, reducing the downtime of your equipment and saving you money on return visits. Additional discounted rates on spraybooth filters and parts! 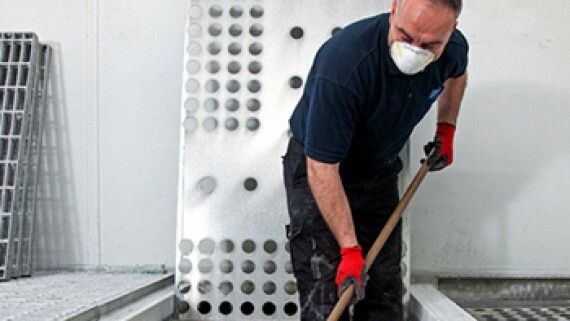 For more information on our Spray Booth Service & Maintenance packages, you can fill out your details on our contact us page and we’ll get back to you as soon as possible. 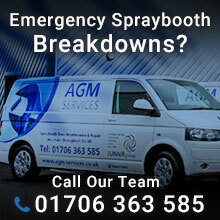 Alternatively, you can call us on 01706 363585 to make further enquiries about our spraybooth service and maintenance packages.